A useful knife, always at hand. 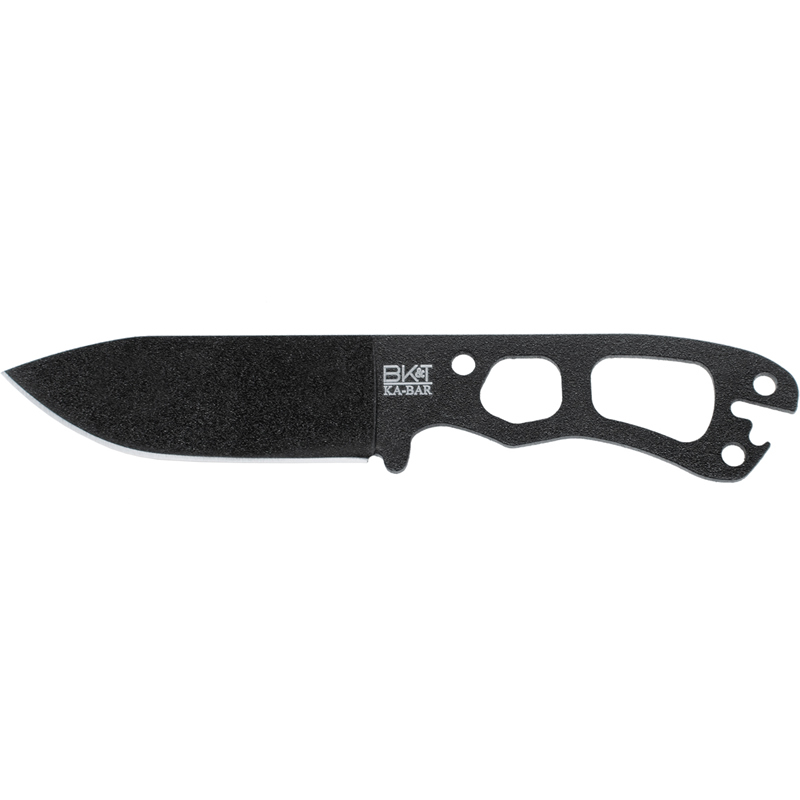 The wide drop-point blade is perfect for skinning, whittling, slicing onions, and whatever comes up around the campfire. A high grind and thick spine give great slicing ability with plenty of backbone for cutting chores. 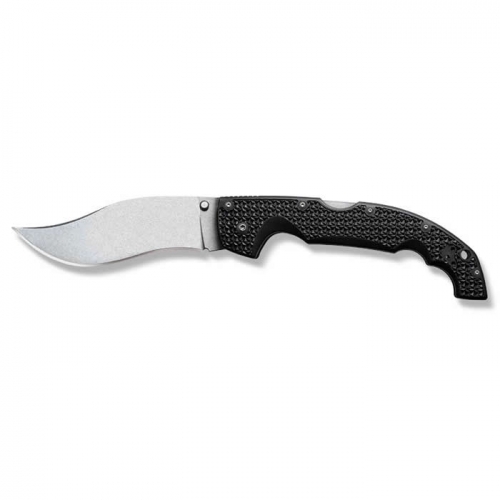 This model is constructed from 1095 Cro-Van carbon steel , which gives you a knife that is easy to sharpen and still holds a good edge. It is a low alloy carbon steel but with chrome and vanadium carbides…to provide extra strength and wear resistance. 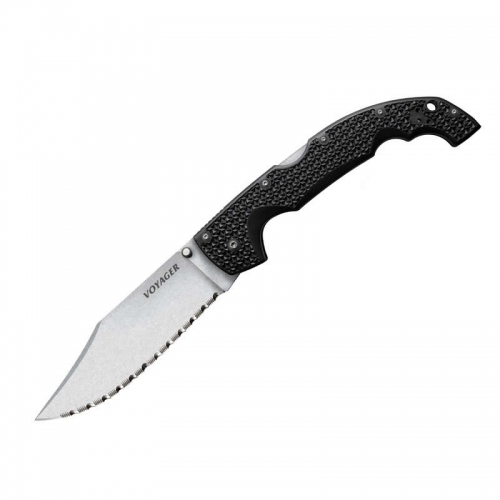 The Kydex sheath can be strung to carry handle-up or down. The notch at the rear of the handle is both a wire/fence breaker, and a bottle opener. 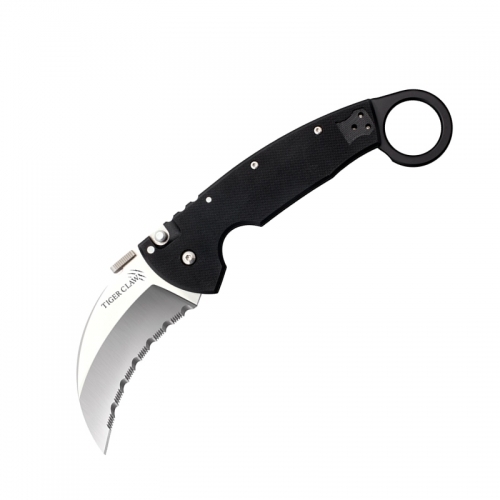 Specifications Blade Length: 3 1/4″ Black epoxy coated Overall Length: 6 7/8″ Blade Steel: 1095 Cro-Van Carbon Steel Weight: 2.5 oz Made in the U.S.A.